Your Lifetime Goals — What’s on Your List? First of all, know that whatever health, body, mental or other challenges you’re facing, I completely believe good food, exercise, and giving yourself peaceful, quiet time can improve your life. Some people have problems that keep them from the activities mentioned here, but most of us (thankfully) don’t — and even if you do, there is probably something, even just looking out a window, that could improve the quality of your life. As always, you may want to talk to your doctor before making any of these big changes (he’d probably love to hear some good news). Tiny bit of backstory — I grew up loving fried foods, sweets, and thought I was a ‘meat & potatoes’ girl. I was also significantly heavier than I am now. This change did not come all at once but by slowly starting to add in more and more good habits over the years. So start small but be excited that your happiest, healthiest body may still be ahead of you. My dad’s 59 and he just spent 8 and 1/2 hours kayaking on a river — you may say he has good genes but he also eats the healthiest and exercises more than anyone I know. Where do you want your body to be at 59? These days, I don’t really keep anything with refined sugar in the house. When I want to make an exception (like a shake), I have to go out and buy it. I’ve really been working to replace my desire for refined sugars with natural sugars like fruits, fruit juice, date-related products, and sometimes coconut sugar (Trader Joes has it and it’s pretty good in coffee). Read my full post about sugar here. Most of this new focus came about last year when my sister watched Sugar is a Toxin, a talk by Dr. Robert Lustig that changed the way we think about sugar’s place in our lives. Now, I love sweets, and I’ll allow myself at least one hard-core exception a week (chocolate torte anyone?) but I want to remove the daily need for sugar from my life. And doing that is also one of the best ways to avoid joining the heartbreakingly large number of diabetics in this country. The amount of sugar we’re encouraged to eat everyday is f-ed up and we need take the power back into our own hands and live more like our grandparents did — when sweets were a rare treat. Also read — Food Rules. It’s wonderful. I’ve said it before and I’ll say it again, I think walking is a fantastic way to get healthier. Try to get out for thirty minutes and least five times a week. But cycling, now there’s the gold mine. If you’re able physically to cycle, even just a little ways, you can find relaxation, joy, and a great, fast way to lose weight and get in shape. As my sister has said, ‘You don’t see any fat cyclists’ (or at least, not for long). But if you can’t/don’t like to go cycling, remember the important thing is to just do some exercise you do enjoy more. It needs to be done often, and be fun and challenging to whatever level you’re at now — but never hurt yourself. Juicing is a great way to get a lot of vitamins fast and can give your body a break from the hard work of digesting food (yes, your intestines would like a vacation too). The film Fat, Sick & Nearly Dead really turned my sister and I on to the power of juicing — you can change your body in ways you’d never believe and it’s never too late to get better. Whether it’s just a breakfast replacement or a longer ‘juice fast’, it can change your relationship to food forever. A juicer costs around a hundred dollars but you can buy used ones (or get a friend to loan you one to try it) — and either way, the cost is probably less than one month of the blood pressure pills you may have to take down the road if you don’t get healthier. A word about fasting: done right it’s not dangerous, unhealthy, or harmful. Fasting has been a religious practise for thousand of years. Fasting can mean a ‘full fast’ where you might drink only water or consume nothing at all (best done for a short while [like a day] and on a day you’re off work and can lie down and rest often). It can also be a ‘partial fast’ where you might still drink water, juice, and even eat a few fruits and veggies. Sarah and I have done a 14 day partial fast and I’d love to do it again. Just remember that you will probably ‘detox’ somewhere around day two and have a headache for a couple of hours. This is natural and healthy and afterward you won’t have that happen again for the rest of your fast. It’s also important to ‘break’ the fast at the end of the time and slowly start eating good foods again. Remember: you are not dieting or starving yourself, you are giving your body a break for a specific amount of time. Richard Hittleman’s Weight Control Through Yoga contains instructions for the first fast I ever did. My friend Jill said she’d heard me mention this but didn’t really know anything about it. I was exactly in that spot last September but I believe Paleo is one of the reasons I’m on track to be my healthiest ever by the end of this year. 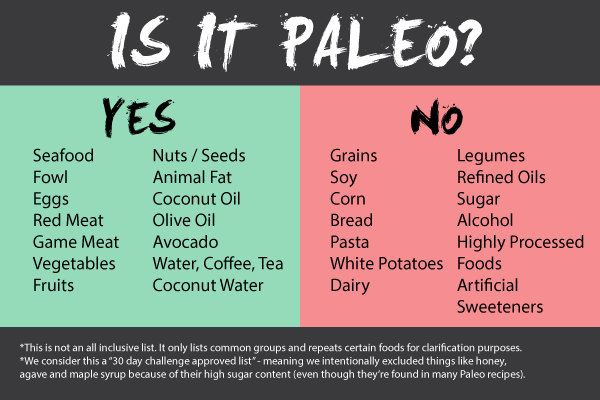 In a nutshell, the Paleo (or paleolithic) diet is a return to what people ate for our entire history up until we discovered agriculture. From an evolutionary point of view, our bodies haven’t begun to integrate things like wheat, legumes (like peanuts) and dairy into our diet, which is why some people have allergies and others may still (unknowingly) have their bodies fighting against minor negative reactions their wholes lives. And fast food and refined sugars are even harder for our bodies to use to keep us healthy. Exercise is also a major component of being Paleo. And I wouldn’t get too caught up in buying only grass-fed beef — I started with regular. Also, almost every veggie’s good — excluding regular potatoes (sweet potatoes are good for you). That about sums up my recent adventures in health. I feel better than I ever have, am improving all the time, and can’t wait to see what I’ll be doing when I’m 59! Take care of your body and you’ll free your spirit up for some amazing adventures.